A strong, geometric shape and versatile functionality: This is how the Four Table by Kartell introduces itself. A decent variation in the otherwise very clear design is offered by the 90° turned feet. 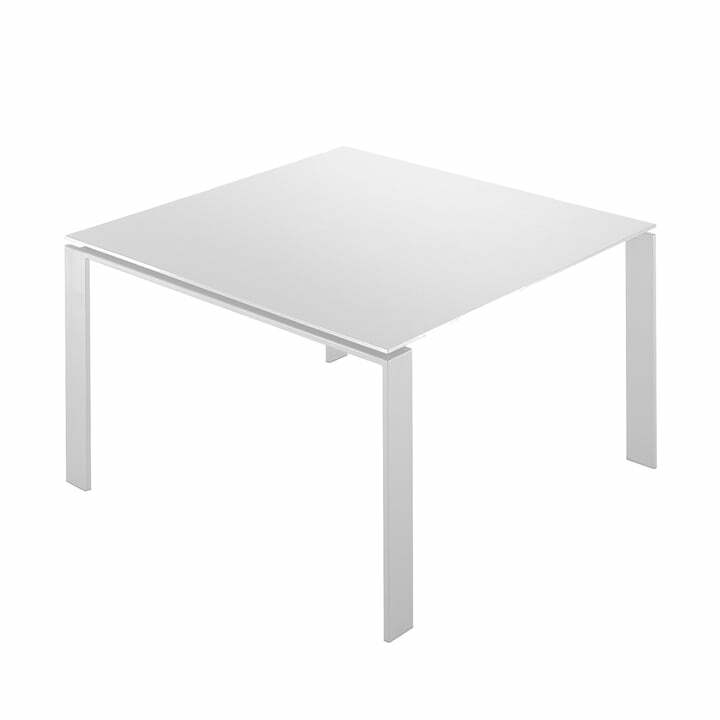 The position of the thin table top allows the easy insertion of drawer elements or boards for printers and computers thanks to the elegant design solutions of the Four Table by the Italian design smithy Kartell. Several Four Tables can be set up some working islands in the office. Four is equipped with a 2.5 cm thin table top out of multiple-layers laminate, which lies on a frame out of lacquered steel. The Ferruccio Laviani designed Four is an elegant and representative table with a nearly floatingly appealing table top. 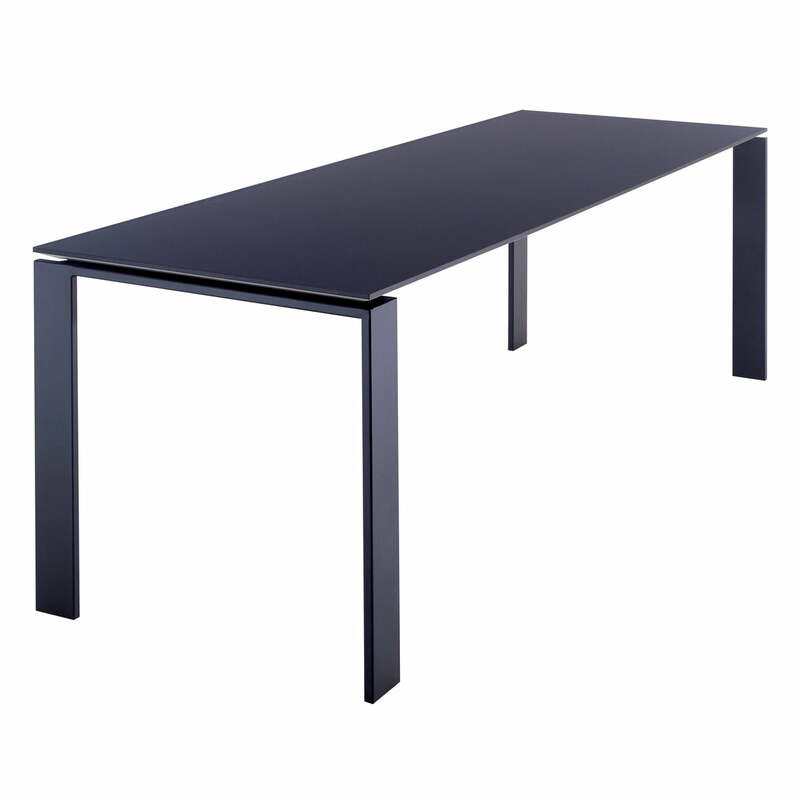 The table by Kartell is therewith ideally suitable for offices and dining areas. 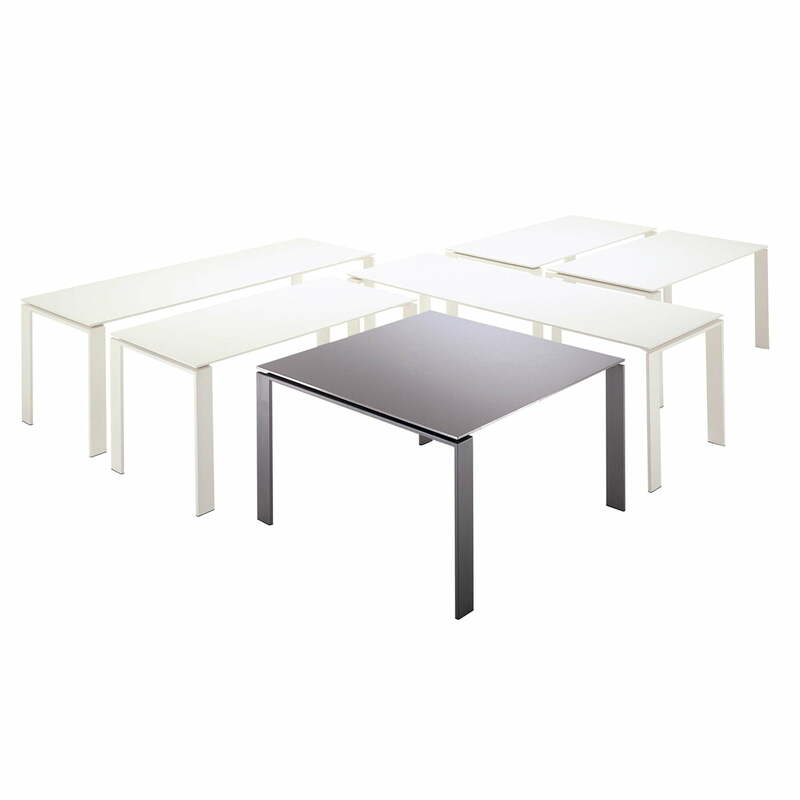 The Kartell Four Table is also available in other colours and different sizes.